My Spotify music soundtrack favorites - All Chucked Up! I have a good number of Spotify music soundtrack favorites which I listen to on a regular basis. 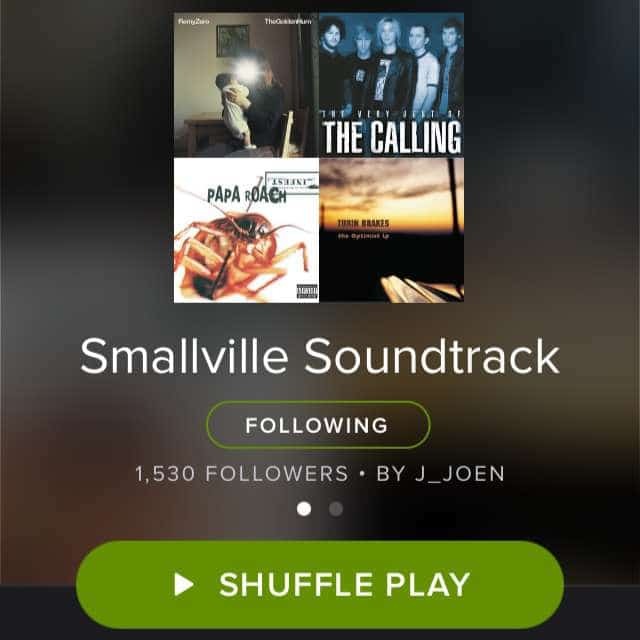 Do you love music soundtracks, too? You see, I love watching movies and television shows. Who doesn’t, right? I enjoy wonderful plots, superb acting, amazing direction and great scriptwriting. But apart from that, I go absolutely crazy over beautiful soundtracks. The kind of music that magnifies the intensity and emotion of any given scene. Heck… that’s why I ended up becoming a musical director and started scoring music for movie and television shows. Whether it’s a swelling symphony leading the scene to its inevitable conclusion or an awesome cover of a gritty alternative song giving a particular sequence added height and tension, music is the absolute soul of any motion picture. Great editing only goes so far. Without music, there is hardly any life to it. So, it goes without saying that apart from the usual pop and rock tracks I enjoy, I also have a good number of soundtrack albums on my phone that I love listening to. It makes for great relaxation wherever I am and it easily sets a wonderful ambiance whether at home kicking back in the living room area or inside the car during a long drive. But stuffing music files with tons and tons of MBs into my phone isn’t my kind of thing. I love mobile apps all too much to sacrifice precious space just for mp3 and m4a files. Thank God for Spotify, I am no longer at the mercy of my phone’s built-in storage space. If I had to cram all my favorite songs and playlists into my smartphone, I’d probably have no more space for anything else. Can’t get enough of ’80s movie soundtracks? This Spotify music soundtrack playlist is sure to satisfy the baby boomer in you. 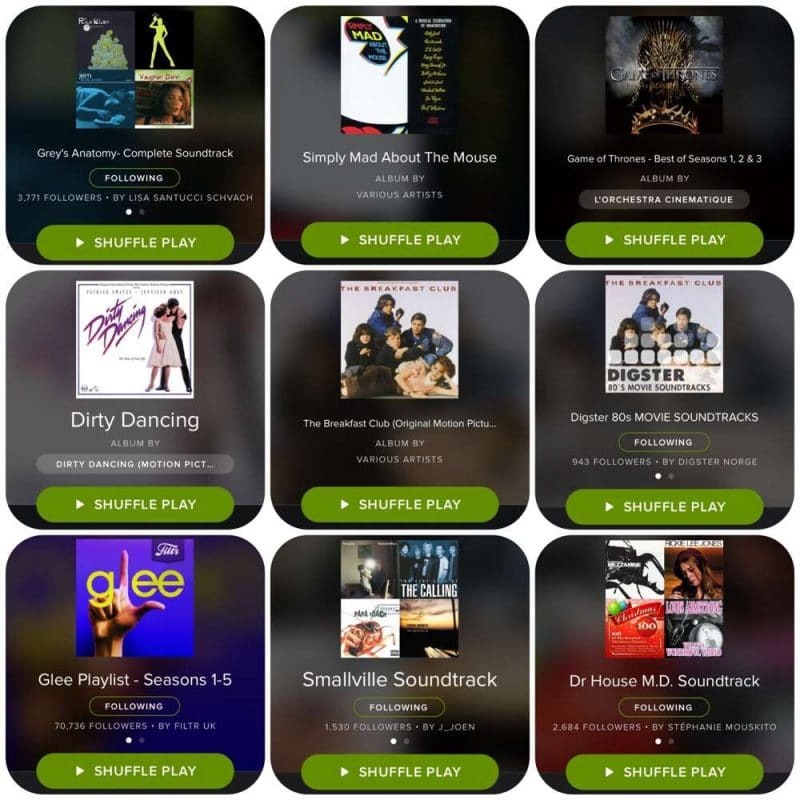 You’ll find a ton of amazing songs used in unforgettable movies such as Rocky, The Breakfast Club, Footloose, Flashdance, Greese and so much more. I’m sure you’ll fall in love all over again to tracks like, Don’t You Forget About Me”, “The Lady In Red”, “We Got The Beat”, “Up Where We Belong” and “If You Leave”. Perfect for long road trips where you just want to stare out the window and space out. Who doesn’t know “Dirty Dancing”? Memorable lines in the film like Patrick Swayze’s, “Nobody puts Baby in a corner…”, that suddenly segues to an amazing closing dance number with the song, “I’ve Had The Time Of My Life”, are just some of the moments that made this motion picture one of the biggest hits during its era. The Dirty Dancing OST has its good share of popular songs which a lot of us grew up listening to. 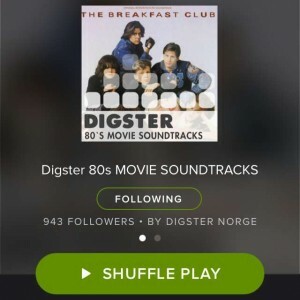 Grab this Spotify music soundtrack for some laid back or sudden-burst-into-dance beats. I love anything Superman. Yes, I admit. I’m a comic book freak, too. Smallville is one of those shows on television which I actually completed – all 10 seasons of it. And from those 10 long seasons came about a huge selection of covers of which some became amazing theme songs lingered in our hearts long after the series had ended. Follow this Spotify music soundtrack playlist for amazing tracks ranging from angst driven music to stripped-down sentimental covers. You’ll love it! If you’ve seen at least a few episodes of Grey’s Anatomy, you’d know that wonderful songs are regularly used in this series. Some of them are popular music, some on the other hand are indie tracks… all equally wonderful. I enjoy listening to this Spotify music soundtrack playlist whenever I’m doing a few posts on my blog. It’s a good alternative to your usual coffee shop music. We all grew up loving Disney’s unforgettable stories. How Cinderella finds her glass slipper and ultimately true love. How Snow White wakes up through a kiss by her Prince Charming. And the story of a wooden puppet named, Pinocchio, that eventually becomes a real boy. All these wonderful animated movies, had equally unforgettable theme songs which we already know by heart. 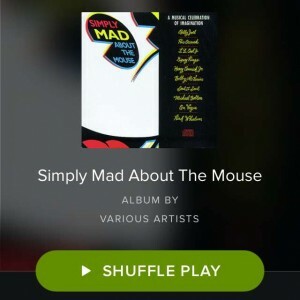 Simply Mad About The Mouse is a Spotify music album that compiles some of the best Disney soundtrack songs and given new life. Songs in this album have been rearranged and performed by popular artists using their own styles. For example, “When You Wish Upon A Star” is performed by Billy Joel, “A Dream Is A Wish Your Heart Makes” is wonderfully rendered by Michael Bolton. There you go! A few of the countless movie and television soundtracks that I listen to via Spotify. What are yours? I don’t think I’d be able to enjoy all these songs and playlists if I hadn’t discovered Spotify. It’s just an amazing service. Millions of songs (including tagalog songs, too!) just a click away. Using Spotify will NOT eat up your GoSURF allocated data. Listen all day and all night without worrying about using up all your MBs. You can pick the perfect mobile data plan that suits your kind of lifestyle. Choose the plan with just the right amount of allocated MBs that fit your usage style. This means you pay way less than your current mobile plan (assuming you haven’t moved to GoSURF yet). Gone are the days of our dreaded Fair Use Policy woes. Since you choose the data allocation that suits your needs, you are able to determine your own data cap. Perfect. 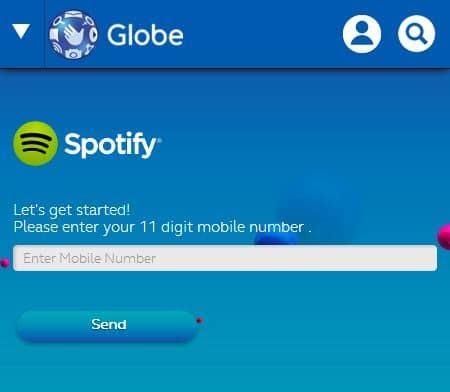 Globe GoSURF comes with FREE Spotify Premium. Yes! 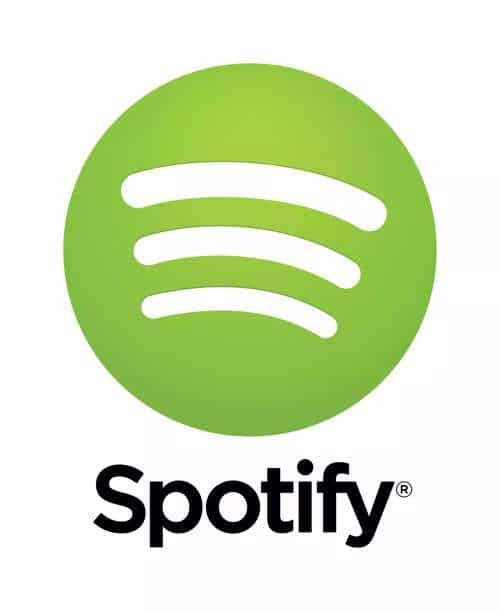 You immediately get 6 months of Spotify Premium for free! And boy is it a joy to use! I recently made the switch to GoSURF from my old SuperSurf mobile data plan. I am currently subscribed to a 10GB GoSURF plan because I am quite a heavy user especially when I’m away from home. But believe it or not, I am actually spending less on my Globe monthly bill now that I am on GoSURF compared to a couple of months ago when I was still on a SuperSurf data plan. It’s very easy to avail of the free Spotify Premium account through Globe’s GoSURF. All you have to do is apply for GoSurf 299 or higher for 6 months of free Spotify Premium goodness! One you’re on GoSURF 299 or higher, all you have to do is visit http://spotify.globe.com.ph to activate your very own Spotify Premium account! Remember: Don’t activate the free 7-day trial! You should get an SMS confirmation of your free 6-month premium access once you’ve activated your Spotify through GoSURF. Think about it… millions and millions of songs right in your pocket using, in my opinion, the best music streaming service available anywhere in the world and accessing it via Globe’s GoSURF, which I consider to be the best mobile data offering in the country. That’s a killer combination right there. If you want to know more about the benefits of moving to GoSURF, check out my previous post about how and why I made this switch. So, are you on GoSURF’s free Spotify Premium account already? 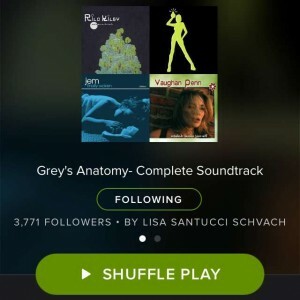 If you are, what are your favorite Spotify music soundtrack playlists? Do you have other awesome playlists you’d like to share? 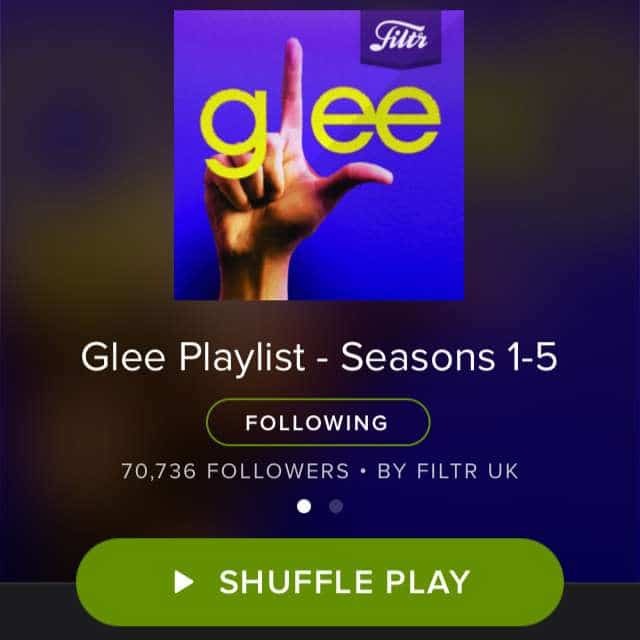 Or maybe you’ve made your very own playlist for everyone to enjoy. Post your own Spotify music playlists below on the comments section. I’m sure other readers would love to discover more music.